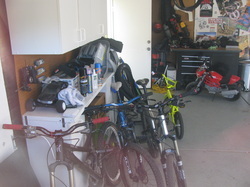 Lately the stories of fellow riders having their bikes jacked got me thinking about how much we take for granted. If you talk to a rider that has had a bike stolen, you can feel their pain as they describe the day their heart was ripped from its chest cavity. We all experience the same gut check when a bike is stolen, but how the bike is taken always seems to vary. There is the story of broken or cut bike racks, people stealing them out of the yard of a home or apartment, and on and on. When I started thinking about the steps I take to protect my bicycles I recalled stories of individuals that had their bicycles and other possessions stolen from their garage of all places. If you do not realize how easy it is for someone to get into the average garage that has not been protected, then head over to Youtube. The following is an additional step that I decided to take to add a little piece of mind, that doesn't take very long or cost very much. The following process cost me under $15 and took me approximately an hour and a half for a 3 car garage. What you are looking at is the average setup in any housing track. The problem is that you could probably walk down a street and peer into 8 out of 10 homes in your area (not recommended) , and so could potential thiefs. 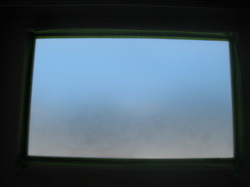 One of the first steps that you need to take to start this project, is to thoroughly clean your windows. 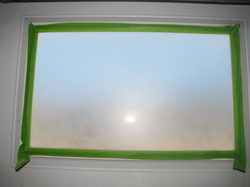 Any dirt or spots left on the window panes will be trapped in the paint, and will be extremely visible. As you may have guessed, this is the most tedious and time consuming, part of the process. I am sure some people will skip the masking step but I intentionally left a border of around 1/8th inch around each window. The frost paint dries very quick which is always nice. You can go inside and get a drink and within 5 minutes you are ready to apply a second coat, or peel your painters tape. One application is really all that is needed in my opinion, and I think the photos really capture the effect. 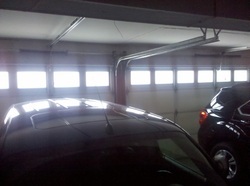 The one benefit I was not planning on, is the fact that my garage has way better day lighting, now. The light coming in can almost being blinding as it is diffused by the frost coating. 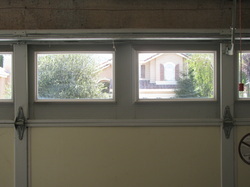 Simply walking up to the window and peeking inside our example home, you can see plenty of items that would entice a burglar. So what do we need to do to correct this problem? 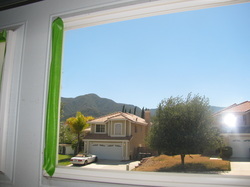 The total cost of this process is very low, I picked up the window frost paint and painters tape, for around $15. 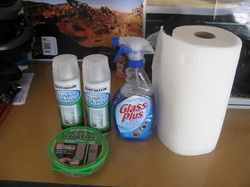 Most of you have Windex and paper towels already, which I would use before a final wipe down of soap and water. After having taped off all your windows, you will be nearing the home stretch. Typical painting rules apply to this process. 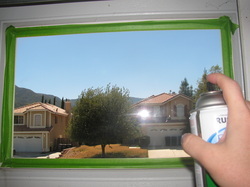 Keep even, slightly overlapping passes, while keeping the can an equal distance from the window. 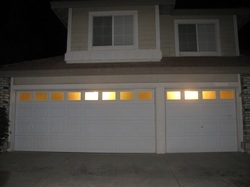 Here is the night view photo which I have included simply because I like the subtle effect that it adds to a home. 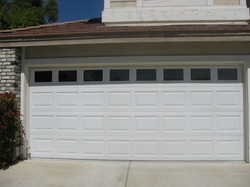 You have many options other than frost, such as super dark tint, cracked ice effects, etc.